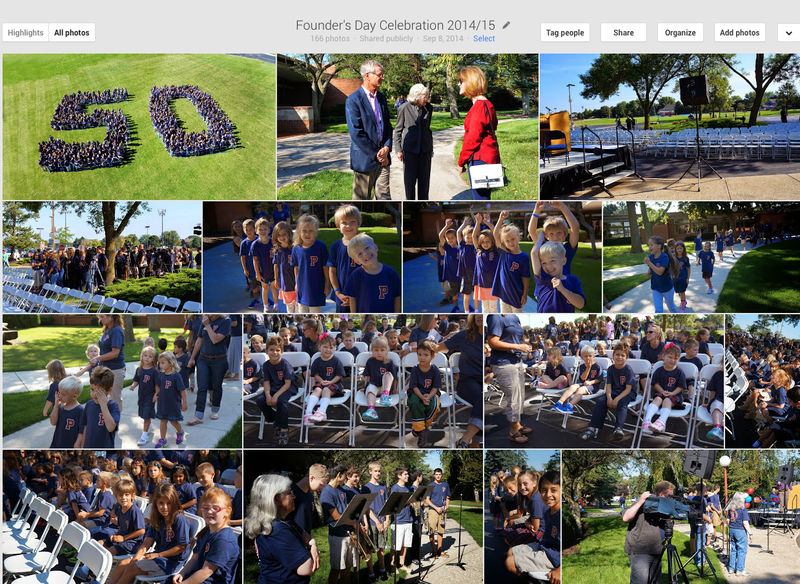 The Prairie School: Putting Students First for 50 years! Monday, September 8 was not just another day at The Prairie School. The day marked a significant milestone in the history of the school, the Racine community, and the lives of those who were and are privileged to be a part of this remarkable community. “We wanted Prairie to be a school that would bring out the best of every child. Today we embark on our next 50 years because of so many who have cared about children and supported our dreams and hopes for the school. Parents, teachers, in fact the entire community have joined together to become our extended Prairie family. Their hard work and dedication have made Prairie School who we are today. Immediately following Mrs. Johnson’s remarks, a time capsule that was buried at the end of the first school year in 1966 and again during the 25th year celebration was uncovered. Remnants including an old yearbook, photos, class lists, student letters, and clothing were unveiled for all to see. Shortly after, students, faculty and visitors gathered to take an all-school photo forever marking this momentous occasion. This truly was a special day of honoring the excellence that Prairie has fostered. Thank you to everyone to who attended, to those who have supported our mission for the past 50 years, and to those who will continue to allow the school to provide our students the best opportunity to learn, grow and excel as young people. And finally, a special thanks to the founding families who took the challenge upon themselves to provide a private, independent, and thriving school for their children. This entry was posted in All News, Featured, Learn More About Prairie, Middle School, Primary School, Upper School, Volunteer & Event by Communications Department. Bookmark the permalink.